We were sitting in chairman’s room of a big corporate house. He had gifted me a signed copy of a book written by his family member – the book was related to work, spirituality and family life. I wish I had met the author once, because the book is on aspects of life which I am exploring. The book has a straightforward message similar to Bhagvat Geeta – work is worship and how to achieve a content life even after being fully involved with material world. I had been writing for close to 6 years now on spirituality and business, this was the first time I had met a Chairman of a successful and listed company who spoke so eloquently on spirituality. During our discussion I asked him, how does he balance spirituality and work? How can he pass on the message of spirituality to his line managers, executioners’ et al? This question was in my mind because when a person has basic needs fulfilled (shelter, food & clothing) then only he/she may think of higher pursuit in life. So, it sounds tough to send the message of spirituality, work, and growth and still balance in life to those who are struggling to make ends meet, isn’t it? It was interesting to speak with him, he spoke about business, spirituality and added another dimension to my thinking – science! Even if a person is atheist, the natural law of physics will apply to him; gravitational force will pull him down, right? That is how spirituality is, it does not differentiate. Spirituality is the science which is essence of everything, even if one believes or follows any religion. I believe when more and more people become spiritual, the organizations and economy will take a more interesting turn worldwide. PS – What is resonance? Every material has its natural frequency of oscillation. Once another object oscillating in same frequency comes near this material, the material starts oscillating or comes into vibrational motion. Note – this is more than a year old article published after modification. It was Feb or March of 2011. We were just completing our MBA and as would be the case with any other B-school companies were visiting campus for recruitment. A big company was scheduled to visit one day. One of my friends – Jaydutt – was among the most likely candidates to be selected. However, he did not even attend the presentation of the company. Everyone was curious, why? I – besides others – was shocked it! I went to his room and asked him, why did not you attend the presentation itself forget the recruitment process? This small conversation with Jaydutt made me think – those points were such that even after full 5 years I still remember the discussion. I recalled that small discussion with Jaydutt when I planned another of my journey from Business to the Buddha to Saint in Suit. I realized whenever I say Business to the Buddha, there seems to be a gap between Business and the Buddha. There seems to be a movement from one place to the other. It requires separate effort or action. When I met Fateh uncle recently, I realized that it is not going from one place to the other. It is “being” that. He is a successful businessman and a spiritual person. The title Saint in Suit actually came in my mind when we met once and he was wearing a suit! Now or in future we’ll have to be professionals with the spiritual connect. We need to be saints in the form of professionals. That awareness will either sprout or if does not, we need it to be developed. Though, unfortunately currently I don’t have time to commit to this and keep writing regularly there besides keeping my pace here too. Saint in Suit concept is spirituality and business are together. In this concept the plan is to write about how business works (or should work) on spiritual practices, how it can work on spiritual practices, sharing any model related spirituality and business, sharing or defining model related to spirituality and business in any business function e.g. Board level to line executive from marketing to HR to suppliers etc. I’m hoping to bring like minded people on this platform to start writing about being saint in suits. your contributions are welcome there create your login. It was winter of 2012, Sujoy was getting married. I traveled to Pune to attend his wedding function. There I met one of my very old College mate – Anurag Tambe. 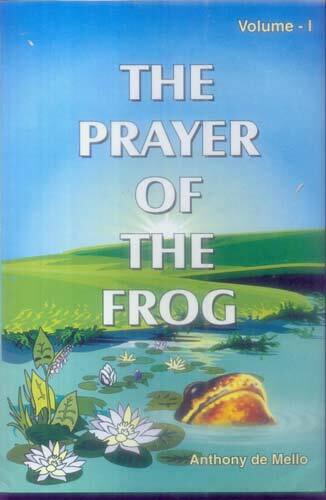 Here is an interesting story from Father Antony De Mellow, book – Prayer of the Frog Volume 1 and Prayer of the Frog Volume 2 on similar concept. “What have you been doing till now?” the Rabbi asked. 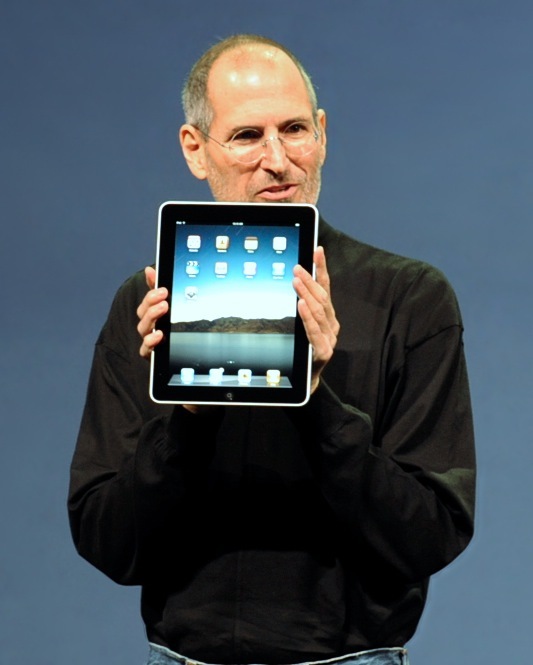 Steve Jobs, I think, did what the Rabbi suggests in the story. The Buddha shared his knowledge for free, you know these universities charge so much for the degrees! One argument could be – 1. That time was different. 2. The Buddha asked for bigger fee – leave all material possession, family, even ‘self’. What fee are you talking about? But yes, what the Buddha taught was priceless and of course for free. The second is – Well you have a MOOC (Massive Open Online Courses) – Coursera, EdX etc. These MOOC are based on a freemium Business Model. “Freemium” is a coined word; it is made using two words – free and premium. A business model which is based on this term “freemium” offers products/services free as well as paid. What is so great about it? Well, in this business approach few basic functionality of product/service are free and advanced features are premium. An example is LinkedIn. This business model is possible in cases where marginal cost of distribution and production are low – most commonly internet and software businesses. Advantage? It can offer huge scale for premium access. How? Once responded to free and limited period premium content business can expect to convert higher % of free users to premium users. LinkedIn has been doing this successfully. I liked this idea. It relates to offering your services – though limited – to everyone. Here everyone means – meaningful target audience which needs it. The business offering such service is not creating a complete monopoly – by asking users to first PAY and then USE. It gels with the concept of Business and the Buddha as well. Well, a word of caution – fremium can be wicked as well – when pricing is done to squeeze “consumer surplus”#. That is where it may not be what “Business to the Buddha” would apply. At the end of the day – there is no limit to squeezing the consumer, isnt it? An interesting business concept I have seen in Singapore [searched on net they are in India too!]. There is a restaurant near China Town MRT station – Annalaxmi. There you can have lunch and pay as much as you want, Sing $ 0 or even 100. There is no cashier. The amount such collected goes in running this not for profit restaurant and rest is utilized in organizing cultural activities. Whatever said, freemium seems to (should) be the way to go! 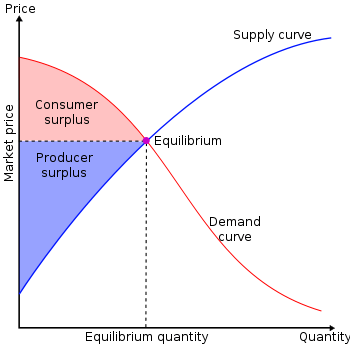 Consumer surplus – it is a term used in microeconomics in demand and supply analysis. Though the author is not a PhD in economics, still in his simple words – consumer surplus is what a few consumer “can” pay to avail the service but would not pay as company selling the offer keeps the price lower so that the company can reach scale. When I heard this, I promised Professor Mankad that I’ll learn the games played in gambling. This is seemingly contrary to what we have heard – gambling is not a good thing! On the other hand gamblers can be the biggest believers in the world! I wonder if there is a God he must be sitting in some casino and helping someone make fortune! Isn’t it? I had been thinking of writing a blog on our that small piece of chat, and I received this small story – modified a bit. There was a town; often visited by many traders and nearby villagers during the weeks for all sorts of trade. In that town there was a church, but no bars. A person saw an opportunity seeing many visitor in town but bar. Hoping that after a tiring day people would come and just chill in the bar; so quenching thrust with booze was huge business case! However, this person could find a place only opposite the lone church of the town! He started his business there. People from all walks of life visited his bar, not only after a tiring day in the market but also after their prayers and other casual visits to the Church. Earlier only Church used to a common meeting place for town dwellers as well as for villagers from far and wide. Now the bar had taken over. The church was a serious matter and bars were for fun and frolic. Even for heart broken people it was a place to forget the pains. The heart broken had route as – message to Gods in the church with emotional stories, after the painful saga go to the Bar for comforting oneself. The church authorities were pained with this challenge from a competitor just under the nose. They prayed daily against the bar. As fate could have it, the prayers were heard sooner rather than later – the bar was struck by lightning and caught fire. Bar owner sued the church for the cause, as an action by their prayer. The church authorities denied all responsibility! At times you find somethings at the most unexpected place! Disclaimer & sources – The author does not intend to hurt any sentiments, and does not question the authority of the churches [he has his STRONG opinions though]. The author does not want to claim any Intellectual Property Rights – Copyright – to the story [even though he has modified the story].